Yesterday I got up at the crack of dawn (ok, that is an exaggeration, but being awake before 9 on a Saturday is a big deal for me) for my 8:30 am pattern making class at Stitch Lab. Most of the class was review for me like lengthening and shortening a pattern piece and adding seam allowance but I did learn so many things that what I was doing wrong and how to do it properly and I got to work with tools I’d never used before and went home with a major shopping list! I also learned the correct way for making and moving darts rather than just drawing here and there and hoping for the best. Overall it was a great class and I walked away with my head swelled full of pattern making knowledge! While I was there I also bought some of this awesome new Alexander Henry Dia de los Muetros themed fabric. I’m a little obsessed with this gorgeous detailed festive print. Who knew skulls could be so pretty? 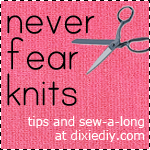 I’m going to use it to make something a little utilitarian and share a pattern for it, too! Previous Article← What could this be?